G-protein coupled receptors (GPCR) are the largest family of cell surface receptors found in mammalian organisms. These receptors are a major target for drug development. Dr. Romero is interested in the dynamics and traffic of GPCR, with special emphasis on the parathyroid hormone receptor type 1 (PTH1R). His approach is based on the use and development of novel optical techniques to study membrane proteins and their interactions with other cellular components in live cells. Dr. Romero’s research focuses on two main areas: a) the role of the PDZ proteins sodium-hydrogen exchange regulatory factor (NHERF1) and Disheveled-2 in the regulation of the dynamics and traffic of GPCR; and b) the role of phospholipase D in the regulation of receptor traffic and function. Dr. Romero’s approach is based primarily on the analysis of the physical properties of molecules of interest in live cells, using advanced optical techniques such as confocal microscopy, fluorescence recovery after photobleaching (FRAP), total internal reflection microscopy (TIRFM), image correlation spectroscopy (ICS), quantum dots, and others. Using these techniques, Dr. Romero has developed novel methods to examine protein-protein interactions in the temporal domain. For example, he has recently demonstrated that the PTH1R is tethered to the cytoskeleton and accumulates in the vicinity of subjacent actin stress fibers, forming bundles that are highly dynamic structures, moving along these bundles much more rapidly than between them. 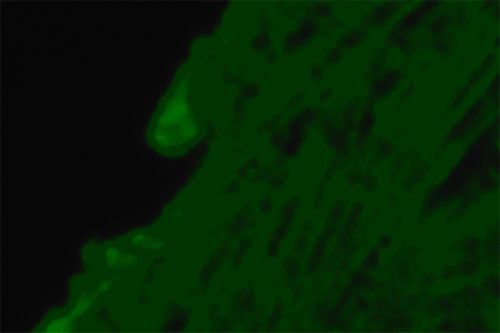 Figure 1 shows a high-magnification TIRF image of the distribution of the PTH1R on the plasma membrane of CHO cells. 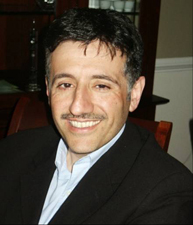 Because of his interest in traffic, Dr. Romero is actively pursuing new approaches to the study of endocytic processes. To this effect, he recently developed novel methodologies for the purification and preparation of endosomes based on the use of magnetic nanoparticles attached to peptide ligands. In this technique, peptide ligands, such as insulin or epidermal growth factor, are adsorbed to colloidal iron nanoparticles (5-10 nm in diameter) and applied to the external surfaces of cells. These particles are sufficiently small to be internalized via the standard endocytic pathway and, because of the ferromagnetic properties of the colloidal iron, allow for a simple and rapid isolation of the endocytic vesicles containing the particle. He is using this novel technology to study the role of specific proteins in the endocytic pathway in a time-resolved manner. 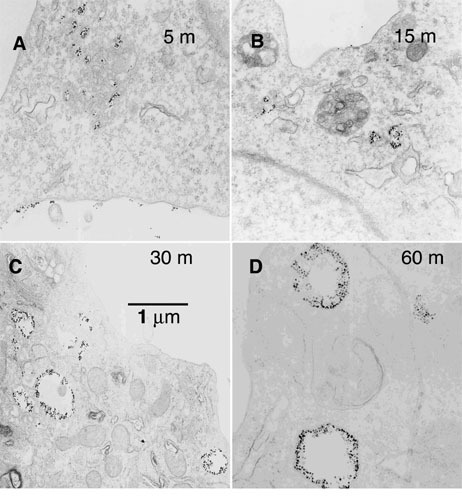 Figure 2 shows electron micrographs of cells treated with insulin-iron complexes at various times, demonstrating endosome maturation. Wheeler DS, SR Barrick, MJ Grubisha, AM Brufsky, PA Friedman and G Romero. Direct interaction between NHERF1 and frizzled regulates beta-catenin signaling. Oncogene 30:32-42, 2011. G Romero, WB Sneddon, Y Yang, D Wheeler, HC Blair and PA Friedman. Parathyroid hormone receptor directly interacts with dishevelled to regulate beta-catenin signaling and osteoclastogenesis. J Biol Chem 285:14756-14763, 2010. Kraft CA, JL Garrido, L Leiva-Vega and G Romero. Quantitative analysis of protein-lipid interactions using tryptophan fluorescence. Science Signaling 2:p14, 2009. Garrido JL, D Wheeler, L Leiva-Vega, P Friedman and G Romero. Role of phospholipase D in parathyroid hormone type 1 receptor trafficking and signaling. Molecular Endocrinology 23:2048-2059, 2009. Kraft CA, JL Garrido, L Leiva-Vega, E Fluharty and G Romero. Role of phosphatidic acid in the coupling of the extracellular-signal regulated kinase (ERK) cascade. J Biol Chem 283:33636-33645, 2008. Wheeler D, JL Garrido, A Bisello, YK Kim, PA Friedman and G Romero G. Regulation of PTH1R dynamics, traffic, and signaling by the Na+/H+ exchanger regulatory factor-1 (NHERF1) in rat osteosarcoma ROS 17/2.8 cells. Mol Endocrinol 22(5):1163-1170, 2008.